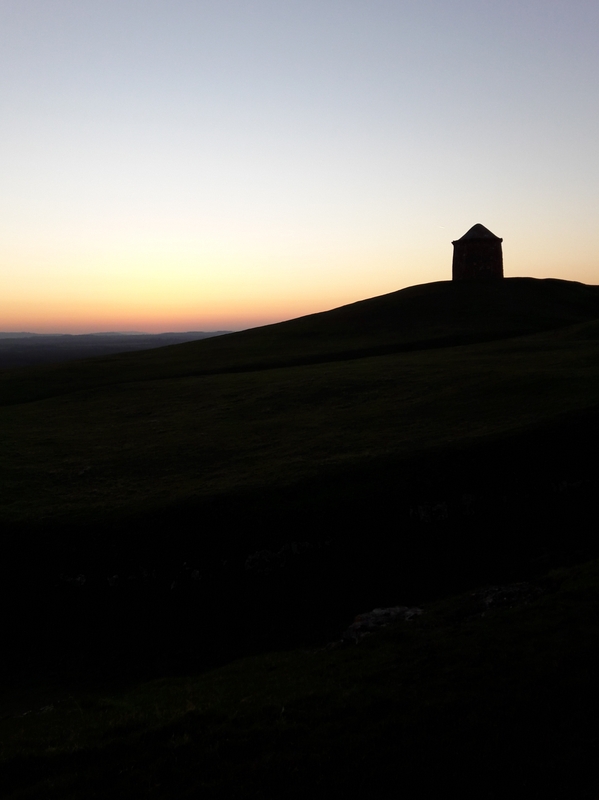 Sunset and a temp of -4c at the Beacon, Burton Dassett, February 2018. 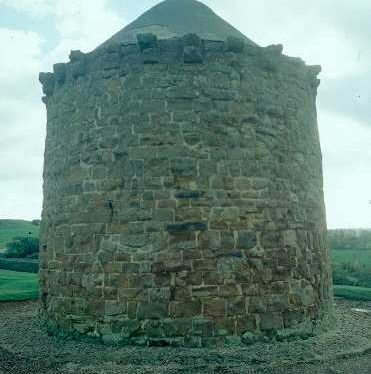 A Medieval tower known as The Beacon. 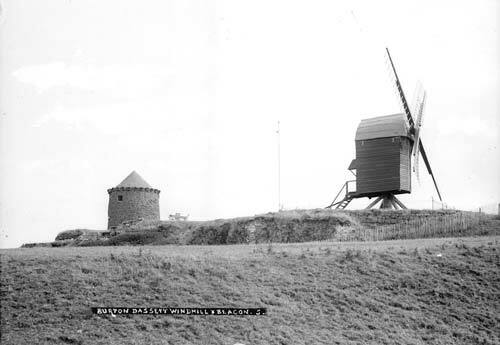 It has been suggested that it was originally used as a windmill and was later converted to a look-out tower. 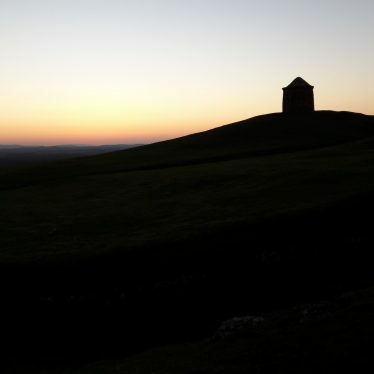 It stands on Windmill Hill, Burton Dassett. 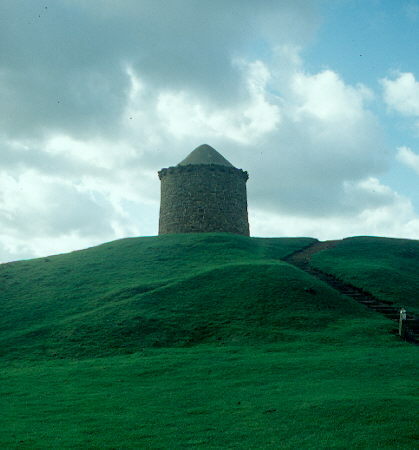 1 On top of the Burton Hills is a round tower called the Beacon, built of uncoursed square rough ashlar. 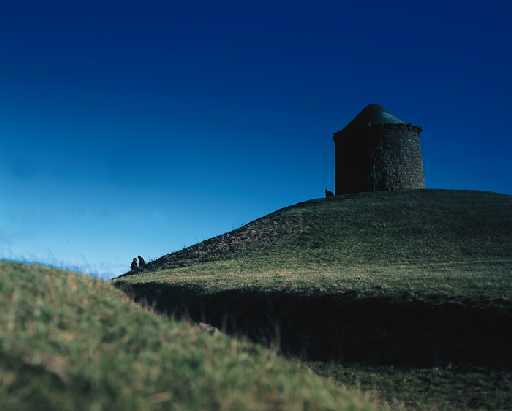 It was apparently a late Medieval lookout tower which was partly defensive, as there is a row of corbels at the top suggesting machicolations. On the SW side is a blocked doorway retaining the springing stones of a depressed arch, and above it is a small arched and square-headed window with a label. Another square window is to the NW. The roof is conical and covered with cement. It is set on a raised platform revetted by rough masonry. 5 15th century. Altered 20th century. Coursed squared ironstone. Tapering circular plan. 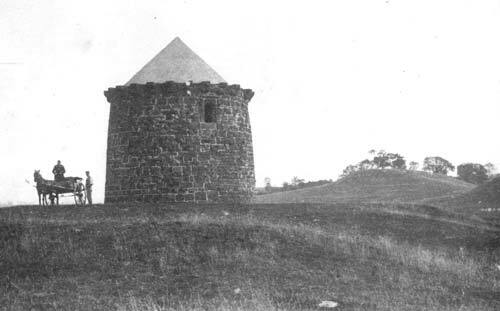 Probably originally a tower mill, later converted to a lookout tower. 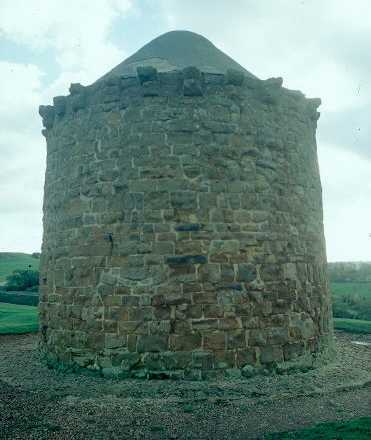 7 Preserved truncated stone tower, two storey, 6.8m diameter at base, 4.8m high. Windows and doors now all sealed. 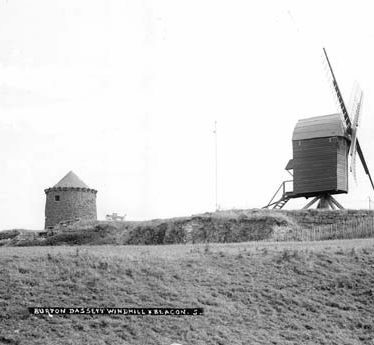 No positive evidence of windmill use. Site open to public. 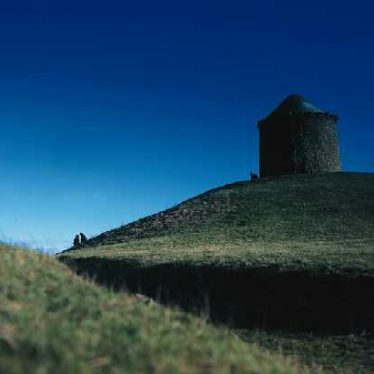 8 Included in Warwickshire Monument Evaluation and Presentation Project. Described as complete and in good condition with roof rebuilt in 1987. 9 Listed in an article on The Forest of Arden. The site of Knightcote Reservoir. It was constructed during the Imperial period. The reservoir is located 800m south west of Northend. 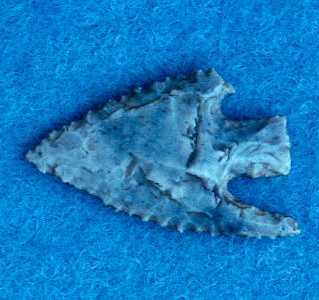 Findspot - a Bronze Age arrowhead and two flint flakes were found in the area of the Burton Dassett Hills. Findspot - Neolithic or Bronze Age flints, Burton Dassett. Findspot - flint flakes dating to the Neolithic and Bronze Age were found in the area around Kineton and Compton Verney. An archaeological feature of unknown date. 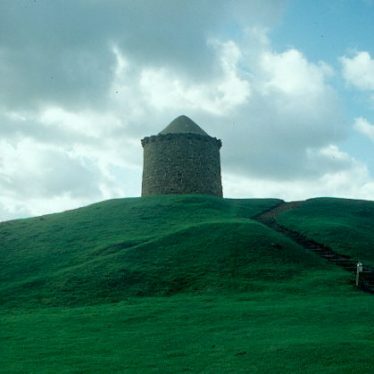 It survives as a circular earthwork and is located on Harts Hill. 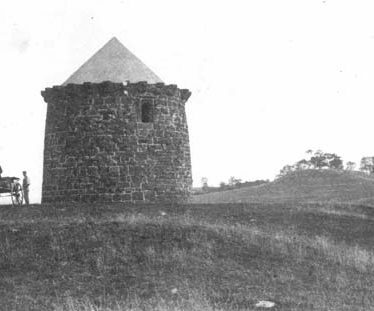 Compton Pike, a beacon that was built during the Post Medieval period. It is situated 200m south of Windertonroad Spinney. A manor house that was built during the Post Medieval period. Additions and alterations were made to the house during the Imperial period. It is situated in Leamington Hastings. 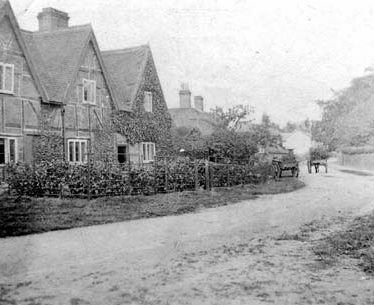 Possible arbour or other building associated with the grounds at Clopton. 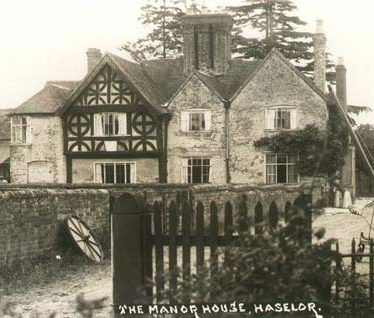 Clifton Old Hall, a house that was built during the Post Medieval period. Numerous modern alterations have been made to the building. It is situated on Hillmorton Lane, Clifton upon Dunsmore.